Fiona the Hippo is about to become a STAR! The Cincinnati Zoo posted a teaser trailer for a new show—aptly titled “The Fiona Show”—on its Instagram this morning, providing us with 90 seconds of unabated Fiona, in all of her 451 pound glory, just doing Fiona things. The Instagram post is vague, only announcing an August 29 premiere date and directing followers to like their “The Fiona Show” page on Facebook, where a longer cut of the video posted to Instagram was published on August 16. It’s safe to say that Fiona will be the BIGGEST influencer of her generation. April the Giraffe who??? It’s Fiona’s time now, and we’ve known this from the start. She has her own book, she’s going to have a show, maybe she’ll even debut a lip kit this fall—who knows!? Her branding is already on point, playing perfectly into the genre of “inspirational animal beating the odds” videos that make me cry on the daily. We invite you into the world of Fiona. I, for one, am rushing headfirst into Fiona’s world, excited to watch the first episode, which will feature exclusive video from her birth. Okay! 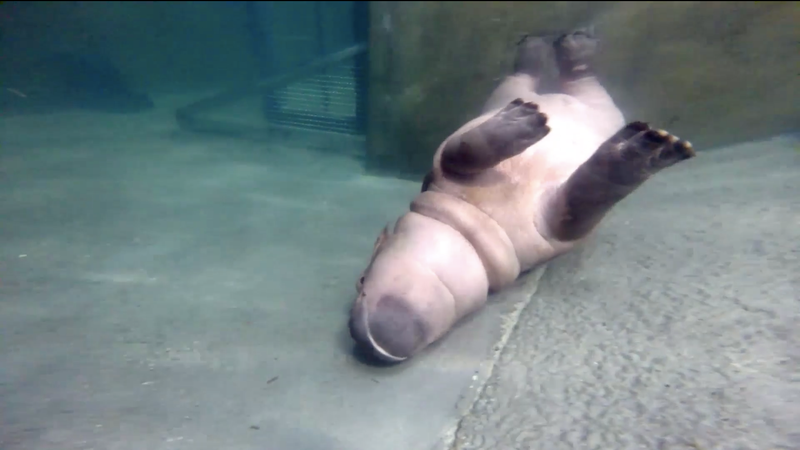 The world is this baby hippo’s oyster, and we’re all just living in it.